Explore Arizona and the Southwest from the creation of the earth 4.5 billion year s ago to the present. See the origins of life on earth, meteorites and minerals. In Dinosaur Hall, discover some of thebiggest dinosaurs that ever lived, and on Dinosaur Mountain see how some appeared and sounded in a natural context. 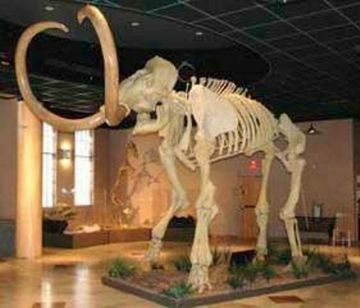 In a Walk through Time, explore ancient Arizona’s Paleozoic Seas, Triassic Petrified Forest, monsters of the Cretaceous Seas, and the first animals to fly. Where else can you see a flash flood cascading down a three-story mountain inside a museum? See Tom the soft-shelled turtle and a live Gila monster. Experience a real territorial jail, pan for gold in the History Courtyard, and wend your way through the Lost Dutchman’s Mine. Maybe we'll even see Fred and Dino!! !